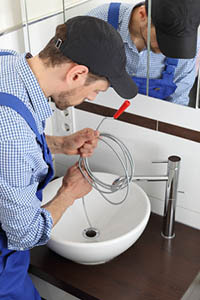 When your sinks and faucets in Benbrook, TX aren’t working right, you need a plumber fast. At Lightfoot, we understand that needing work on your sinks and faucets can really hamper your style. That’s why we promise that we’ll get to you quickly, look at the problem, and get it fixed just as soon as possible. We want you to know that you are in good hands, no matter what your plumbing needs are. We offer comprehensive repair of sinks and faucets in Benbrook, TX. This means that, no matter what is going wrong with your sink or faucet, we’ll get it fixed fast. If your sink is cracked, the water won’t flow right from your faucet, or a knob came off in your hand, we’ll get it repaired for you just as soon as possible. Are you thinking about giving your bathroom a new look on a budget? We can help you find the sinks and faucets that will complement whatever look and feel you are going for in your bathroom. We also handle kitchen sinks and faucets. Are you in love with the farmhouse sink look? We can help you achieve that at a price you can afford. Whenever you need work done on your sinks and faucets in Benbrook, TX, we will help you get it done. We’ll take the stress and strain of the project off of you so that you can get back to your normal life knowing that your home is in good hands.